Lombard Odier Investment Managers (LOIM), the institutional asset management arm of Lombard Odier Group, has named Nancy C. Everett (pictured) to the newly-created post of Senior Advisor for its US-based business. 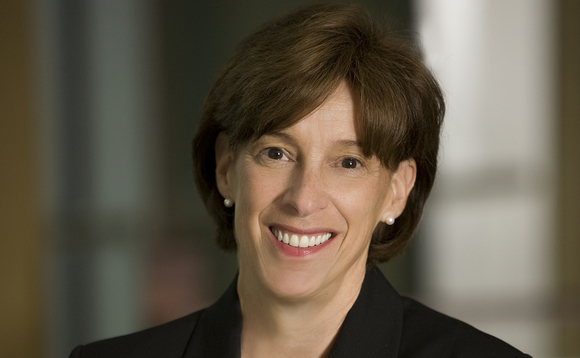 Everett was most recently with BlackRock, where she was Managing Director, head of US Fiduciary Management. Reporting to Hubert Keller, the Managing Partner of Lombard Odier responsible for LOIM, Everett works closely with LOIM’s teams to strengthen distribution capabilities to the most demanding institutional clients in the US. In this role she draws on a broad range of investment expertise across traditional and alternative strategies, including hedge funds, smart beta, alternative risk premia, high conviction equity and specialty fixed income. Everett stepped down from BlackRock in December 2013. She joined BlackRock in 2011 to initiate and develop the US Fiduciary Management business within the firm’s multi-asset class solutions group and while there built investment, asset allocation, manager research and operational/trading teams. Prior to joining BlackRock Mrs Everett was Chief Executive Officer and Chief Investment Officer of Promark Global Advisors (known as General Motors Asset Management or GMAM until March 2009) for five years until May 2010. While there she was responsible for more than $170 billion in assets and managed over 200 staff. “Investors’ needs in this economic environment are increasingly sophisticated and as our US business expands to respond, Nancy’s experience will help us tailor solutions,” said Keller. “I’m delighted to be asked to join LOIM which, through its investment philosophy, organizational structure and technology has carefully positioned itself to address the next generation of questions facing pension funds and institutional investors,” said Everett.